Gloucester Cathedral was completed in the late 15th century: the English Electric Canberra made its first flight five centuries later, on 13th May 1949. 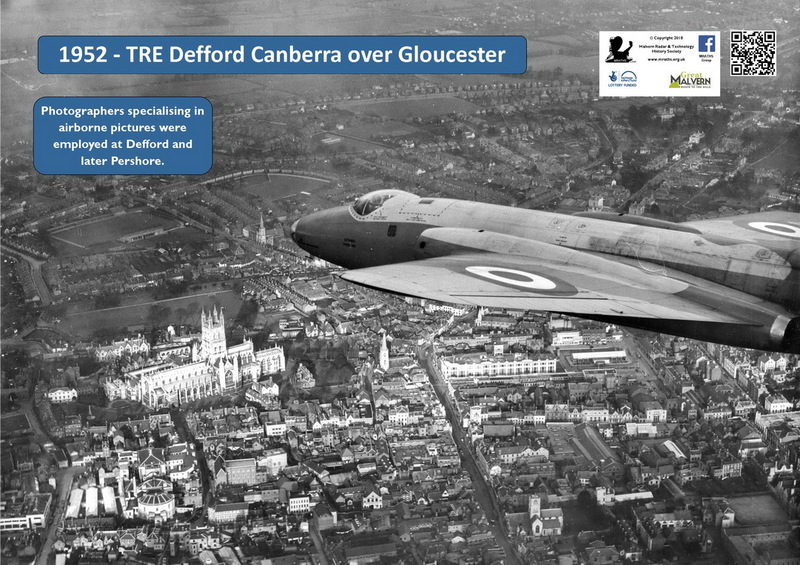 This striking photograph, taken by Mr W Levin, shows one of TRE’s Canberras overflying Gloucester at some time between August 1952 and 1954. 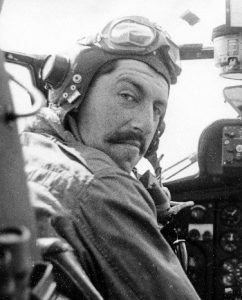 Mr Levin was a staff photographer at TRE’s Defford airfield between 1952 and 1956. 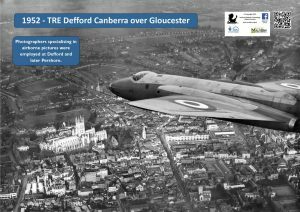 The aircraft shown was one of two brand new, identical, Canberras (identities WF917 and WG788) delivered to the Ministry of Supply Defford Air Station (the official, full title of TRE’s airfield) on 25th August 1952 for use in TRE’s Research and Development trials. On the opening of Pershore airfield in September 1957 as Defford’s replacement, both aircraft moved to the RRE Aircraft Department’s new base. The two aircraft went on to complete interesting sixteen year lives supporting a wide variety of R&D trials flown from the two airfields. 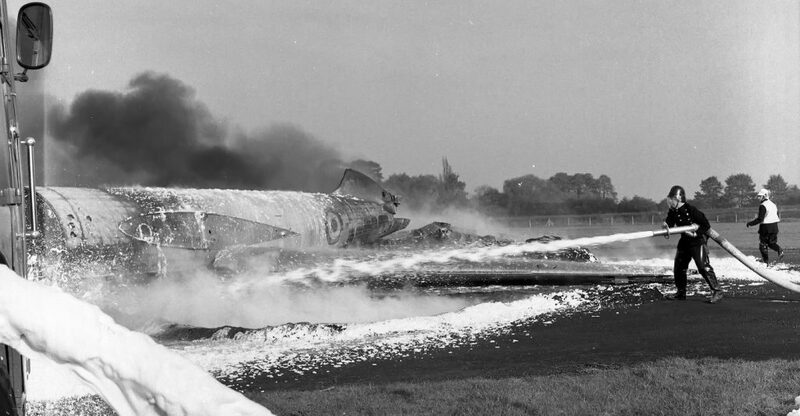 In its retirement WG788 was put to use as a training aid for the airfield’s fire and rescue crews and eventually met a fiery end at their hands. WF917 continued to have an interesting life. It was sold back to its manufacturers and fed into their contemporary reconditioning programme. The Canberra had always been an exceptional export success and were sold to air forces around the world. Reconditioned aircraft were similarly in demand by old and new customers. WF917 was sold to Argentina, an old customer. The Argentine Air Force used its Canberras operationally in the Falklands War and WF917 could well have been one of them.